As viewing habits change, the value of brand integration is in natural, authentic experiences, writes the VP of content at Branded Entertainment Network. Watching the Oscars over the weekend, it was interesting to see how brands chose to integrate into award-winning content. Brand partnerships in TV shows and films are nothing new, but "La La Land," "Hidden Figures" and "Lion" were just a few of the Academy Award-nominated films that demonstrated the value of well-crafted brand messages in celebrated content. Today, natural and non-intrusive integrations are more important than ever. The media landscape is expanding and content is being created at unprecedented rates. At the Golden Globe Awards, premium cable and over-the-top (e.g. Netflix, Amazon) alone accounted for 30 of all nominations versus 26 for all of broadcast television combined. In fact, we’ve seen a 94 percent increase in scripted content since 2009, and both cable and OTT are growing rapidly. As viewing habits change, the value of brand integration is only increasing. Marketers are leveraging entertainment as an effective way to reach audiences and engage with them through authentic experiences. We’ve seen more content that connects with viewers on a personal level. The best integrations we’ve seen recently share three factors: thoughtful incorporation of the brand essence and messaging within the context of the story, innovation in storytelling and campaign extensions, and the brand helped drive the story forward. From Eggo waffles to Google Earth to Prius, these brand integrations do not disappoint. Prius and "La La Land": This hit musical has many great scenes, but one in particular is when lead character Seb gets Mia's key from the valet and her Prius is mentioned by its brand name. The scene popularizes the brand, as Seb goes to collect the key and discovers there are tons of other Prius owners at the party, a nod to the eco-friendly state of California. IBM and "Hidden Figures": 20th Century Fox’s "Hidden Figures" shares the story of the early 1960s Space Race, uncovering the contributions of African-American NASA mathematicians Katherine Johnson, Mary Jackson and Dorothy Vaughan. In this film, IBM played a critical role as both a threat and opportunity to the computers, but ultimately it showcased the company’s involvement in the evolution of technology needed to get us to the moon. Google and "Lion": The film shares the story of protagonist Saroo, played by actor Dev Patel, who is on a search to find his family roots and reunite with his biological parents. He uses an HP laptop PC that runs Windows OS, to search the web and Google Earth, which was recommended by his friends in the film. Google Earth was his primary tool for retracing his journey away from and leading him back to his childhood home. Alexa and "Mr. Robot": In introducing a new character to the show, the writers of "Mr. Robot," (winner of two Golden Globes this year) used Amazon’s Alexa to develop Dom’s character. The result? Viewers glean insight from her personality that pacing and traditional storytelling wouldn’t otherwise support. The audience learned about the depth of her character through prolonged conversations with Alexa. Dom, while complex, is a lone wolf with interpersonal challenges who would never have shared those vulnerabilities with another human. Eggo and "Stranger Things": Placement for Eggo waffles in one of the hottest shows of the year helped raise awareness of the breakfast favorite significantly. 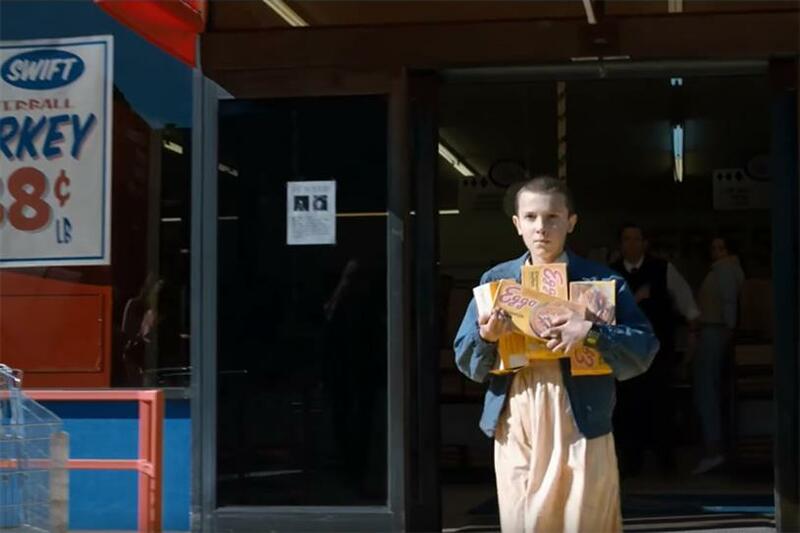 The top meal choice for Eleven, Eggo became synonymous with the character and, as part of the storyline, elevated the brand to new levels on social media, increased buzz around the brand name and even created a stronger connection between Eleven and her fan base—who doesn’t love Eggo waffles? Eggo even became central to the series season one finale that left viewers wondering what happened to their favorite character. Hyundai and "Crazy Ex-Girlfriend": The Hyundai Sonata provides plenty of comedic fodder for actress Rachel Bloom’s character in "Crazy Ex-Girlfriend," who proudly talks up its features throughout season one while driving around her new home of West Covina, California—stalking her ex-boyfriend Josh. At one point Josh says, "Don't you have a brand-new car? You're always talking about it; listing all the features of your Hyundai as if you were in a commercial or something." Hyundai promoted the integration on Twitter. Zillow and "Royal Pains": Home is an idea, a feeling, a special and highly personalized space. Zillow gets this and so does "Royal Pains." The show’s main character, Dr. Hank Lawson, played by actor Mark Feuerstein, uses Zillow to look up available homes as he considers moving into a house he can settle down in, making Zillow synonymous with "googling," and establishing "Zillow" as a verb in the process. Since premium content is becoming more competitive and marketers are looking for ways to stay connected with their audiences, there is value to be found in branded integration options across a multitude of screens. If brands stay true to the storyline, the emotional connection forged with the audience could be award winning. —Caressa Douglas is the VP of content at Branded Entertainment Network.